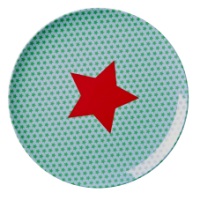 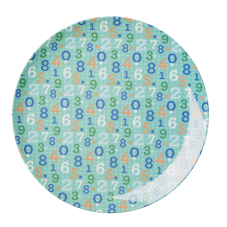 Colourful blue and green retro number print melamine plate by Rice DK. 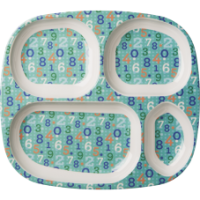 This small melamine plate is the perfect size for a kids lunch or side plate. 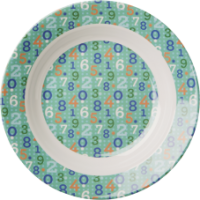 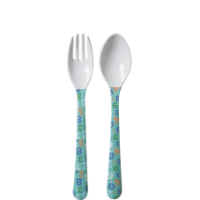 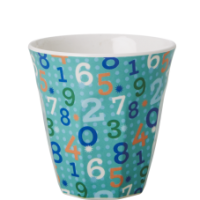 Match with the number print cup, bowl and cutlery to make a great dinnerset.